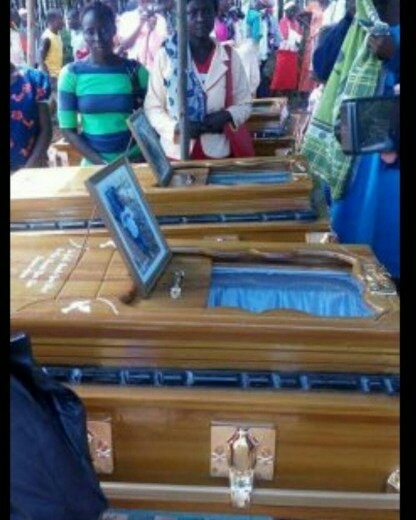 3 brothers brutally murdered in Kenya recently with their corpses dumped in a river at their home in Nyancheki, have been finally laid to rest. The boys aged between 3 and 6, whom are sons of a Kenya politician, an MCA aspirant in Uasin Gishu county Hon. Ratemo, were buried yesterday. The 3 and 5 old, had their throats slit before being dumped into the river while the eldest Glen, 6, was reportedly hit on the head with a blunt object before he was also dumped. 0 Comment to "3 Brothers Brutally Murdered Finally Buried"